Automatic ionic vibrations to optimize cream absorption. Soothing wrinkles and puffy tired eyes, any time. Quick relaxation of tired eyes. 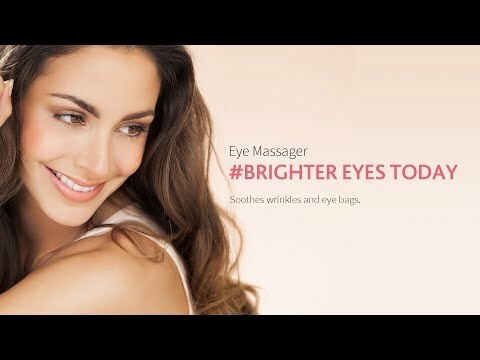 How the MiLuxy Eye Massager Works? Hold one end of the MiLuxy Eye Massager and touch your skin on the other end. You will be surprised by the automatic ionic vibration, that enables nutrients to penetrate deep into your skin. p.s. Vibration is not activated if the skin is too dry or when the ionization loop is open. As a heavy user of PC and mobile phones, you can do a quick 5 mins massage for tired eyes anytime, anywhere. The automatic ionization helps to pump nutrients deep into skin to soothe wrinkles and eye bags. Restore bright eyes right away.